HarvestBox carefully selects the family farms that are committed to producing livestock according to our specific standards. We have invested time in developing solid relationships with our farm partners to ensure the quality and integrity of the product we're delivering to your doorstep every time you place an order. These farms uphold HarvestBox values to provide you with the best tasting, sustainable meat available. Connect with Regal Bison Co. I'm Lee Hitzfield, founder of Seven Sons Family Farms. 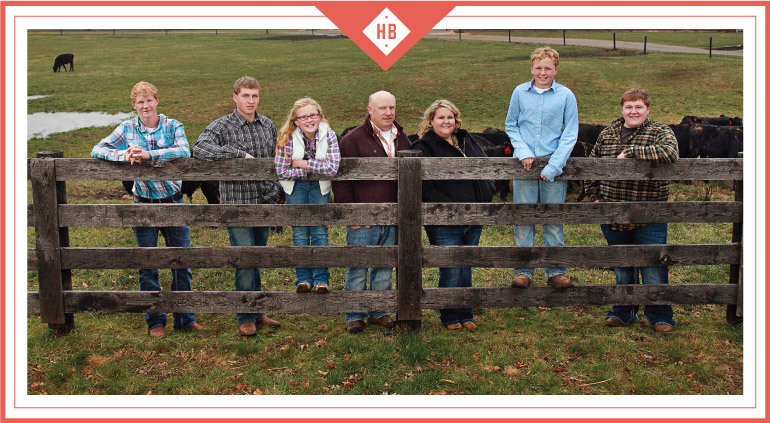 Together with my wife, our seven sons, and their families, we run the pasture-based farm in Indiana, where we produce grass-fed beef, free-range pork, and free-range chicken. Seven Sons believes in three core principles: Stewardship, accountability, and personal responsibility. We believe that both farmers and consumers are responsible for being better stewards of the earth. We believe that individuals need to be accountable for learning where their food comes from and for developing a connection with local farmers and food sources. Lastly, we believe in personal responsibility, that everyone should take responsibility for their own health and that of their family by understanding the effects of food on the body and secure sources of healthy foods. We take the trust of our consumers very seriously. We seek to earn long-term relationships and respect from our customers by speaking honestly about our products and educating them on how to understand and interpret nutrition information and healthy sources of nutrient dense foods. At Seven Sons, we put our philosophy into practice every day by ethically raising our animals. Our animals are grass-fed and free-range. They are never fed drugs, antibiotics, or GMO's, and do not receive growth hormones, steroids, or animal byproducts, and are responsibly harvested. At Golden Tulip Farms, the farmer and his wife are passionate about and committed to being good stewards of their animals, their family, and their farmlands. Golden Tulip Farms creates the elite, wholesome eating experience from their farm to your table. The farmer and his wife ensure quality care for their Wagyu cattle. The animals are cared for in clean, modern barns and also enjoy green pastures and open air spaces. Calves born at Golden Tulip Farms are hand raised on the family farm from birth to harvest. The farmer and his wife use professional nutritionists to provide a vegetarian diet of all-natural, local forages and grains. Their cattle are never fed animal byproducts or antibiotics and there is no use of steroids or growth hormones. In certain cases to prevent animals from suffering, they do allow therapeutic treatment. The farmer believes that this exception is only practical to ensure wise stewardship practices and ethical treatment to animals. American Wagyu beef is rich in both Omega-3 and Omega-6 fatty acids. Research shows it is higher in mono-saturated fat levels and lower in saturated fat than traditional beef, making it both healthy and delicious. My name is Tony Woods (bottom right in photo), and I co-own and maintain the fishing and processing crew for Wild Alaska Salmon & Seafood Company with Heather Huffman. This allows us to ensure the highest quality salmon available while delivering it straight to your door in half the time. Best of all, you get the highest quality at much lower costs than the other guys. There's a huge difference in wild salmon that feed on their natural ocean diet and those that come from commercial tank-farms. Our King, Keta and Sockeye Salmon come from the richest salmon fishing region in the world-Bristol Bay, Alaska-not a concrete tank or a net cage chocked full of captive fish. It's a difference you can see and taste. Our perspective on salmon, our process, and our people make all of the difference. When it comes right down to it, our business is all about taste, and we never forget that fact. For that reason, everything we do is done with quality in mind. We only fish for the absolute best, and we handle it all very carefully and quickly. To us, taste is all that matters. Our process is different, too. 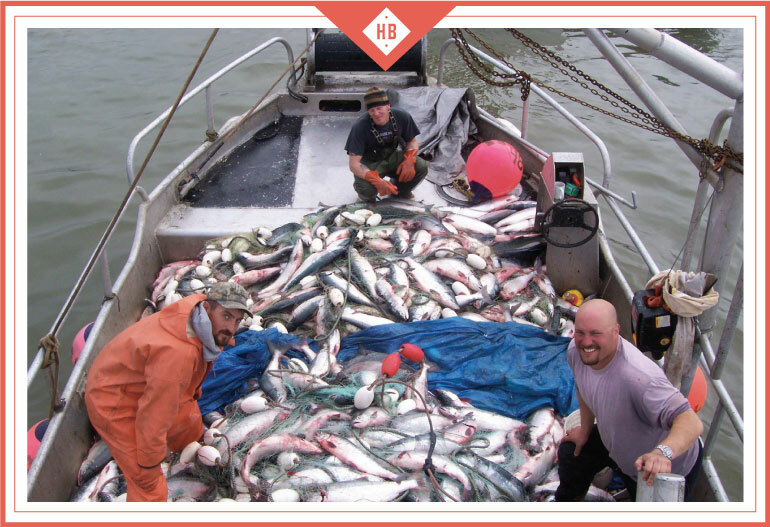 We handle practically everything, from fishing to processing the catch, so we can ensure quality. Our proprietary methods are more efficient and faster. The result? A better product on your table. More Sockeye salmon is caught in the Bristol Bay area than anywhere else in the world, but it's not a free-for-all. The fishing of salmon is strictly regulated by the State of Alaska through a limited entry system. Through the efforts of the state and environmentalists, the salmon population is protected and ensured to be viable for years to come. Our fishing methods ensure that only salmon are caught; other species are completely safe. We're able to catch salmon while avoiding catching other marine animals. While salmon are a renewable resource, we realize the importance of treating the species and its habitat with the utmost respect and reverence. Please fill out all the fields below. Allow 2-4 days for a response as our farmers may be busy caring for your product.